Visit our events calendar to find out about upcoming events. 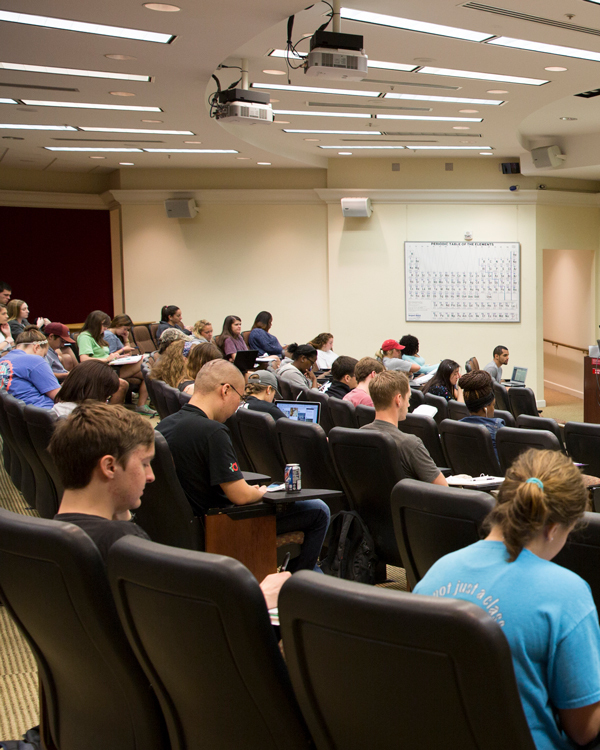 The Department of Chemistry and Biochemistry hosts four seminar/lecture series, which run concurrently throughout the fall and spring semesters. Well attended by undergraduate and graduate students and faculty members, these seminars bring to campus professors from other universities, researchers from nationally prominent facilities and others to discuss their recent work. All graduate students attend these seminars, at which their fellow master’s and doctoral students present papers on their own research or literature in the field, and all graduate students are required to give research and literature seminars while in residence. See the Graduate Seminar Guidelines for more details. Established to honor the contributions of Professor Anthony J. Arduengo III, the Arduengo Lectureship is given annually by a world-renowned researcher in the area of main group element chemistry or physical organic chemistry. Arduengo lecturers are chosen by a faculty committee in recognition of their seminal contributions to the field. Each speaker gives both a technical talk and a general talk as part of the Arduengo Lecture. Learn more about the most recent Arduengo Lecturer, past lectures, and the series’ namesake. The Cava Lectureship, established in memory of Professor Michael P. Cava, recognizes preeminent scientists, primarily in the field of organic chemistry.  Cava Lecturers typically present both a technical talk and a general audience talk during their time on campus. Learn more about the most recent Cava Lecturer, past lectures, and Dr. Cava.